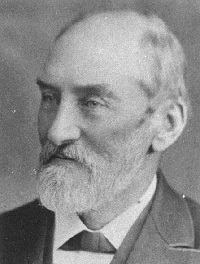 The writer and composer of Australia’s national anthem was Peter Dodds McCormick. He was born the son of a seaman at Port Glasgow, Scotland around 1834. An apprentice joiner, he arrived in Sydney in 1855, where he pursued his trade and became involved in various musical societies. In 1863 he was appointed teacher-in charge of at St Mary’s National School in 1863 and went on to teach at the Presbyterian denominational school at Woolloomooloo in 1867 and at Dowling Plunkett Street Public School in 1878 where he remained until 1885. McCormick had strongly held Scottish values and beliefs and was active in the Presbyterian Church and a number of community and benevolent organisations. He began his involvement with Sydney’s St Stephen’s Church as a stonemason, working on the now demolished Phillip Street Church (where Martin Place now stands). The Reverend Hugh Darling was so impressed with his singing on the job he asked him to join the choir. McCormick’s musical ability led him to becoming the precentor of the Presbyterian church of NSW, which gave him the opportunity to conduct very large massed choirs. 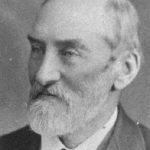 He was also convenor of the Presbyterian Church Assembly’s Committee on Psalmody. Also a talented composer, he published around 30 patriotic and Scottish songs, some of which became very popular. Included in his collected works was Advance Australia Fair, which was first performed in public by Mr Andrew Fairfax at the St Andrew’s Day concert of the Highland Society on November 30, 1878. Advance Australia Fair became quite a popular patriotic song. The Sydney Morning Herald described the music as bold and stirring, and the words “decidedly patriotic” – it was “likely to become a popular favourite”. 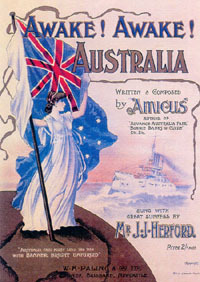 Later under the alias “Amicus” he had the music and four verses published by W. H. Paling & Co. Ltd.
Advance Australia Fair was sung by a choir of 10,000 voices at the inauguration of the Commonwealth of Australia and was performed by massed bands at the Federal capital celebrations in Canberra. In 1907 the Federal government awarded McCormick £100 for his patriotic composition which he registered for copyright in 1915. McCormick died on October 30, 1916, and he was buried at Rookwood cemetery in Sydney. He had no children; he was survived by his second wife Emma. His obituary in the Sydney Morning Herald stated: “Mr. 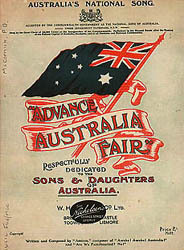 McCormick established a reputation with the patriotic song, Advance Australia Fair, which … has come to be recognised as something in the nature of an Australian National Anthem”. After his death there would be several unsuccessful attempts made to have his popular composition proclaimed as the official national anthem. On Australia Day 1973 Prime Minister Gough Whitlam announced that his government would be fulfilling its promise to find a replacement for God Save the Queen and that a public competition would be held under the auspices of the Australia Council for the Arts to develop a new national anthem. 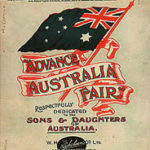 Some 3900 written and musical submissions were received however none of them were considered acceptable and the Council recommended that one of three existing Australian songs – Advance Australia Fair, Banjo Patterson’s Waltzing Matilda or Carl Linger’s Song of Australia – be considered. McCormick wrote many popular songs under the alias ‘Amicus’. On April 8th, 1974, an opinion poll of 60,000 Australians was conducted by the Australian Bureau of Statistics to determine which tune the public preferred out of God Save the Queen and the three proposed alternatives. Advance Australia Fair emerged as the most favoured chosen by 51.4% of those polled and the Government announced that henceforth it was to be Australia’s national anthem. In January 1976, the Fraser government modified the rules governing the national anthem. Advance Australia Fair was to be used, without words, on non-regal occasions, and God Save the Queen was to be used on all royal, vice-regal, defence, and loyal toast occasions. Further to this on 21 May 1977 a national song poll was held in conjunction with four referendum questions to amend the Australian constitution. Australians were asked to state their preference for a tune for a national song and once again Advance Australia Fair emerged as the most favoured. It was in consideration of this popular support that the Governor General, Sir Ninian Steven, officially proclaimed Advance Australia Fair as the national anthem on 19 April 1984. The imminence of the Los Angeles Olympic games that year lent logic and urgency for this final formality being carried out, some 106 years after the song was first performed in public. Advance Australia Fair was to be played at all official and ceremonial occasions; God Save the Queen became the Royal Anthem, to be played when the Queen or members of the Royal Family are present. A copy of the proclamation was published in the Commonwealth of Australia Gazette No. S142, 19 April 1984.